There are many wonderful trails within a 60-minute drive of San Francisco. The best online portal to these trails is Jane Huber’s amazing www.bahiker.com website. “Mt. 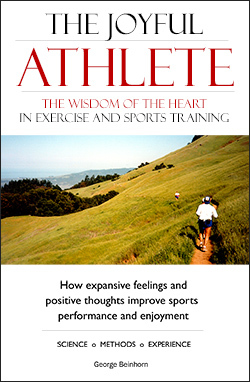 Tam” is the good vibes place for runners in the Bay Area. Here’s a small gallery of photos of this area. There’s a fine PDF map of Mt. Tam here. 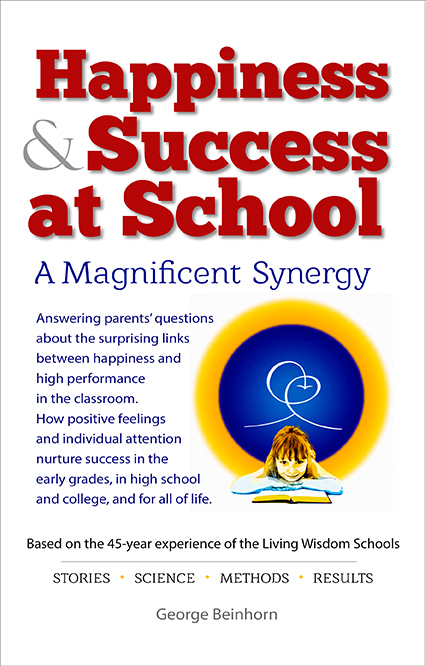 (Click the “+” symbol in Acrobat Reader to enlarge the view.) Here’s my Flickr photo gallery of favorite running routes in the Bay Area, including Mt. Tam. The gallery includes a visual tour of a lovely route that starts in San Francisco, crosses the Golden Gate Bridge, and follows trails and paved roads to the highest point of the highlands, Hawk Hill. Needless to say, the views from that route are spectacular. For an outstanding collection of photos taken during ultramarathons on trails in the Bay Area and elsewhere, visit Don (“DC”) Lundell’s site. Be sure to check Don’s wonderful photos from the 2003 Hunter S. Thompson Fear & Loathing 50 Mile/50K race, which follows the route of the “49-Mile Scenic Drive” through the streets and parks of San Francisco. Don’s gallery is a groovy tour of the City. Here’s another excellent run that starts at Pan Toll. Park in the lot, walk across the street, turn right, and immediately take the old road that angles away from the highway. About 1/4 mile up the road, take a left on Old Mine Trail (clearly signed). From this point, you’re on your own. Jog to the top of the ridge and explore. Lovely single-track trails meander all over the hilltops and down the Pacific side of the mountain. Bring a camera–the views will amaze you. You can end your run by dropping down to the Coastal Trail and jogging back to Pan Toll. 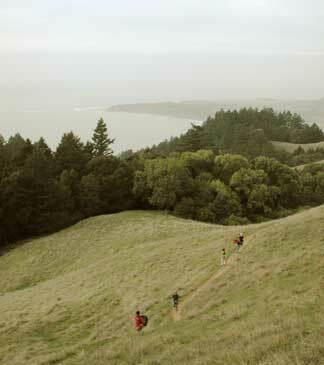 The best hardcopy map of Mount Tam and Marin Headlands is “A Rambler’s Guide to the Trails of Mt. Tamalpais and the Marin Headlands” from Olmsted & Bros. Here’s the current link to order it from REI. For other sources, try a Google search on “Olmsted.” Or contact Olmsted & Bros. Map Co., P.O. Box 5351, Berkeley, CA 94705. (510) 658-6534. Olmsted also has excellent trail maps of the East Bay and Peninsula. There’s an excellent PDF map of the Headlands online. The Golden Gate National Recreation Area website also has maps of Muir Woods and the San Francisco Presidio. If you’ll be staying in San Francisco but won’t have time for the 30-minute drive to Mt. Tam, there are two excellent places to run in the City itself: 1. Golden Gate Park. Golden Gate Park is a fine place to wander and enjoy the trails without a map or stopwatch. The park is huge–you’ll have no trouble running 2-3 hours with little backtracking. 2. the trail from Crissy Field to (and across) the Golden Gate Bridge. From Crissy, run westward toward the bridge. Just past the Visitor Center, across the road on the left, you’ll see the stairs that lead uphill toward the bridge. If you’ve got time for a longer run, try this: Start at Crissy Field and jog across the Golden Gate Bridge, then into the Marin Headlands. At the north end of the bridge, take the catwalk under the bridge to the parking lot on the west side. You’ll see the trailhead to the Coastal Trail on the far side of the lot. Here’s the downloadable PDF Park Service map of the Headlands. It’s quite large and detailed. (It prints at 11″x17″.) Here’s a gallery of photos that I took with my little running camera (Canon SD 700IS) that includes views of the Crissy Field route. Another wonderful loop (3-4 hours at a leisurely pace) starts at Tennessee Valley. Drive across the Golden Gate Bridge and continue north on Hwy. 101. Take the Hwy. 1 exit to Mill Valley/Stinson Beach. About 1/4 mile along Hwy 1, where it bends to the right, you’ll see Tennessee Valley Road on the left. Drive about 2.5 miles to the parking area. You’ll see Tennessee Valley Road and the Coastal Trail on the Park Service map referenced above. Run toward the beach, and after about a half mile, take the obvious long, climbing road to the right. This is the Coastal Trail, which follows the cliffs above the ocean all the way to Muir Beach, with awe-inspiring views throughout. At Muir Beach, run out to the highway and go north 1/4 mile. A trail on the right side of the road will take you to Muir Woods via lovely woods and meadows. You may want to linger at Muir Woods–it is a wonderful place. Then you can take the Miwok Trail straight back over the hills to Tennessee Valley, a tough route with two big climbs. Here’s a link to the bahiker.com online maps of the Headlands. And here’s a National Park Service map of the Headlands in PDF format. You can also have fun exploring this area “from the air” with the satellite images at Google Maps. The Dipsea isn’t the most scenic or runnable trail on Mt. Tam, especially if you don’t relish “running” 800+ steps through suburban neighborhoods. But the out-and-back from Muir Woods to Cardiac Hill and then down to Stinson Beach is lovely (but tough!). For an even better time, try the Matt Davis-Steep Ravine-Dipsea Loop from Pan Toll Ranger Station (scroll down to trail description on the linked page), which will give you a taste of the hills that made the Dipsea famous. Steep Ravine in springtime is as beautiful as any trail in the world. Shucks, let’s face it–it’s hard to go wrong running anywhere in the North Bay from the bridge to Point Reyes, Sonoma, and Mendocino. If you’ll be staying on the Peninsula, check Rancho San Antonio, a wonderful 3800-acre park with 23 miles of trails, located between Los Altos and Cupertino. Warning: “Rancho” is incredibly popular from Spring through Fall; you will not find parking on Saturday morning unless you show up by 6:30 a.m. Parking is easy on weekdays, generally available on Sunday afternoon, and not a problem on rainy Saturdays. I’ve posted a gallery of photos that includes views of Rancho San Antonio and the Palo Alto Baylands, another marvelous place to run on the Peninsula. Here’s the official “Rancho” page, with a downloadable, detailed map. MAPS of all the Midpensinsula Open Space District parks. There are marvelous trails along the top of the Coastal Range. These trails start at various points along Hwy. 35, the main, two-line ridge-top road. 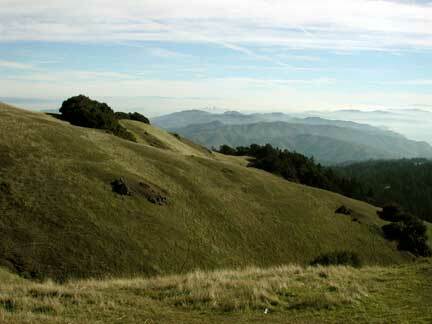 For starters, try the trails that run north or south from the Russian Ridge parking lot. Russian Ridge is managed by the Midpeninsula Regional Open Space District, a wonderful organization dedicated to purchasing and preserving scenic lands on the Peninsula. Look here for excellent maps of Russian Ridge and many other beautiful preserves on the Peninsula. Try Montebello, Purisima Creek (a 10 minute drive from the ocean, at Half Moon Bay; see description below), and Skyline Ridge. The Palo Alto Baylands is a wonderful salt marsh bird sanctuary. (See photos in gallery linked above.) It’s a bit wilder and more scenic than the trails of the Mountain View Shoreline Park, which extends south past Moffett Field and the Shoreline Amphitheater. Here’s a virtual tour of the Baylands. And here’s a virtual tour of the Mountain View Shoreline Park. The Palo Alto Baylands trail is 2.8 miles, and there are another 8 miles of trail extending south from the San Antonio Road parking lot into Mountain View Shoreline Park. Another excellent running venue, on the Pacific side of the Coast Range, is Purisima Creek Redwoods. The entrance on Higgins-Purisima Road, 4.5 miles from Half Moon Bay, is preferred, as all of the trails from the other entry, on Hwy. 35, run steeply downhill. If you’ll be staying in San Jose, try Almaden Quicksilver County Park. It’s huge–in fact, it’s big enough to host a yearly 50-mile race. Try parking at the Mockingbird Hill entrance, and take the lovely, single-track New Almaden Trail. If you’ll be staying in the East Bay, I’ll have to refer you to the Bay Area Hiker site, as I’m unfamiliar with the area. A favorite of trail ultrarunners is Mt. Diablo, where you can enjoy a tough 3400′ climb. The views from the top on a clear day are spectacular–it’s the point from which you can see more of the earth’s surface than anywhere else on the planet, except the peak of Africa’s Mt. Kilimanjaro. Here’s the Mt. Diablo page on the bahiker website.